We are excited to support The OCBA Charitable Fund and its mission to facilitate access to justice to the people of Orange County. After law school, Erin practiced complex commercial litigation at Brobeck, Phleger & Harrison in Irvine until 2002. At Brobeck, Erin defended many national clients through motion practice and discovery in a wide range of litigation matters. Erin then joined Snell & Wilmer, LLP in Costa Mesa, where she practiced until February 2009. At Snell & Wilmer, Erin defended entertainment and amusement venues, consumer products manufacturers, pharmaceutical and medical device manufacturers, and automobile manufacturers in product liability, premises liability, environmental law, and commercial litigation. Erin has prepared and argued numerous motions in state and federal court, taken hundreds of depositions, conducted complex discovery on a national level, and prepared for dozens of trials. 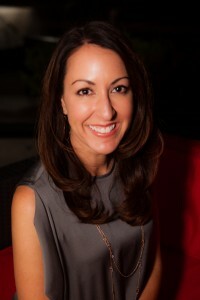 After leaving Snell and Wilmer in 2009, Erin co-founded Montage Legal Group. Her contract work has given her experience in numerous areas of law, including probate, employment litigation, real estate litigation, business litigation, health care litigation, construction defect and class actions. Erin is a frequent speaker and writer on legal outsourcing, ethical issues related to contract attorneys, work-life balance, women in law, and contract attorneys. Erin and Montage Legal Group has also been featured in numerous publications, including CNBC, Yahoo Finance, The Glass Hammer, and was named one of OC Metro Magazine’s 2011 Top 40 under 40. Erin was recently featured in ABA Journal’s article, “Freelance Law: Lawyers’ Network Helps These Women Keep a Hand in the Workforce” (ABA Journal Magazine, August, 2011). In 2014, Erin and Laurie were honored to be selected by Enterprising Women Magazine as 2014 Enterprising Women of the Year Winners.